Abby Point is a property with 17 great size tracts to choose from, located about 10 miles northeast of L'Anse Reservation in the Upper Peninsula of Michigan. Beautiful scenery with tall trees and lush vegetation, not to mention the unforgettable backdrop of Lake Superior just 2 miles eastward. This is the perfect opportunity to build a permanent home or that vacation getaway spot you have always dreamed about. Get your hands on one of these quick as it is a great chance to own a piece of the amazing state of Michigan! The unspoiled land, clean air, and mild climate make Abby Point a true landowner’s dream. And our no-hassle, guaranteed financing makes this the perfect opportunity for you to own a small slice of the beautiful Upper Peninsula in Michigan. Own Abby Point For $99 Down! 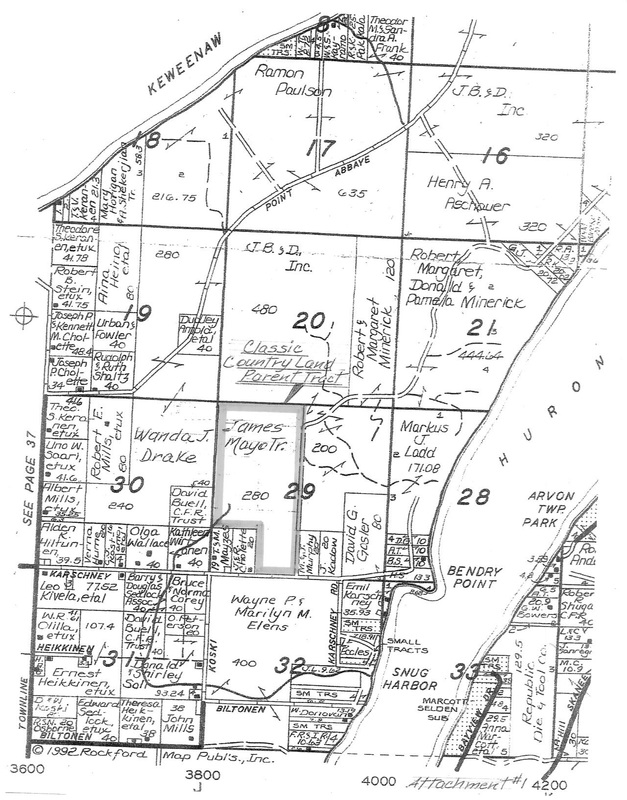 This property is located 10 northeast of L'Anse Reservation in the Upper Peninsula of Michigan. The average elevation is approximately 620 feet. Surround yourself with green trees and foliage everywhere. All are the perfect setting for the unspoiled countryside of Baraga County. With every breath of fresh, clean air, you'll know this pristine unspoiled property is for you - especially since it has been thoughtfully master-planned to exist in harmony with nature and wildlife. This scenic property is just north of L'Anse, MI about 16 miles northeast of Baraga and 70 miles northwest of Marquette. Most property owners feel that it is a good opportunity to own a nice tract, yet affordable piece of Michigan. The unique proximity of this property to L'Anse will allow owners to enjoy a country lifestyle while living just minutes away from the amenities a city has to offer. Some owners plan to make their property into a second home, while others plan to move to their property after retirement. Many plan to pass it down to their children or grandchildren, while others plan to possibly subdivide the property at a later date, keeping some acreage and selling the rest. Many of the property owners also plan to utilize the property as a permanent home or a recreational retreat or getaway from the hustle and bustle of the big city. These tracts are ready for you to build your dream home or just enjoy the good feeling of land ownership. You are entitled to drill a domestic well on your property at your own cost. Water is not guaranteed to be available at any specific depths, quantity, or quality. Contact a Licensed Michigan Well driller for further information and proposed costs. There is no property owners association however we do have Abby Point Covenants.